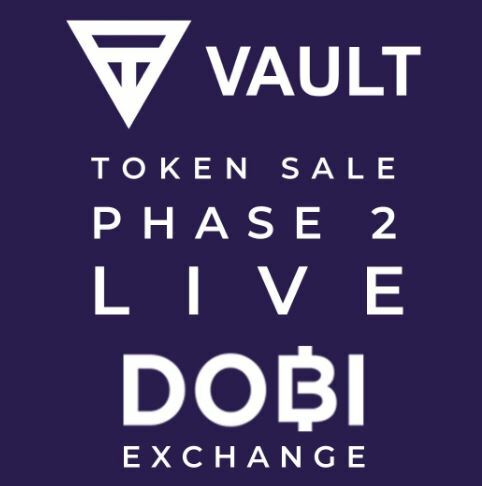 TheVault has been established to protect Exchanges and Consumers with a solution we can trust, and drive the usage of cryptocurrencies with guaranteed security for consumers. As the world slowly becomes used to cryptocurrencies and the massive potential they offer to us, at the same time there are a lot of, legitimate concerns about security and the protection of consumers’ assets. The VaultFoundation has recognised the importance of these issues, and the need to provide secure and effective safeguards to ensure that people are protected and have a safe user experience. As Crypto Exchange Security Experts they have leveraged their own industry knowledge and experience to come up with a powerful solution. We are the world’s 1st solution for fast global payments using an AI-powered fraud detection and consumer protection solution. Did you know most attacks happen outside the blockchain!? The rapid growth of the crypto currency sector, and non user friendly wallets and UX portals has made it easier for scam artists and cyber criminals to exploit the weaknesses of business services, especially many exchanges [Cryptopia] and wallet providers [MyEtherWallet], as new users have tried to get involved is using cryptocurrencies. Over USD$1.4 Billion in crypto assets has been stolen in the past 4 years. Consumers have also lost USD$9.1Million a day or USD$3.5Billion a year. This is a terrible state of affairs and one that we want to remedy with our effective solution to these problems. When you use TheVault, we can help to reduce your risk and exposure to these criminals and their attempts to divert your funds to their wallets. We are able to protect Cryptocurrency transactions in a secure manner. We can also ensure the storage of your assets and your passwords in a trusted and safe way. End Users of the Vault security echosystem will need VSS tokens to make secure transactions from their PCs, mobile devices or the web. VSS tokens will be used to fund the Vault security network. VSS token will be used to pay master nodes, cryptocurrency exchanges and security providers on the Vault Security Network as well as the Vault for continued research against defence threats and software upgrades. More details on the token sale. 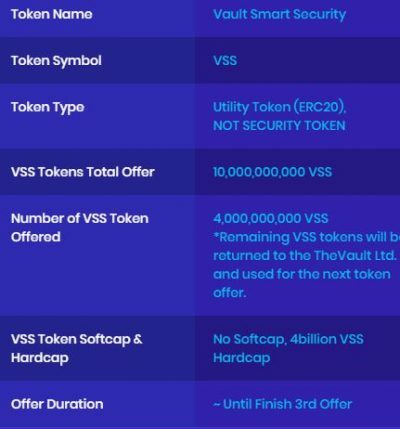 *Remaining VSS tokens will be returned to the TheVault Ltd. and used for the next token offer.